Report a samurai wasp detection. Please read the following instructions before using the above form. 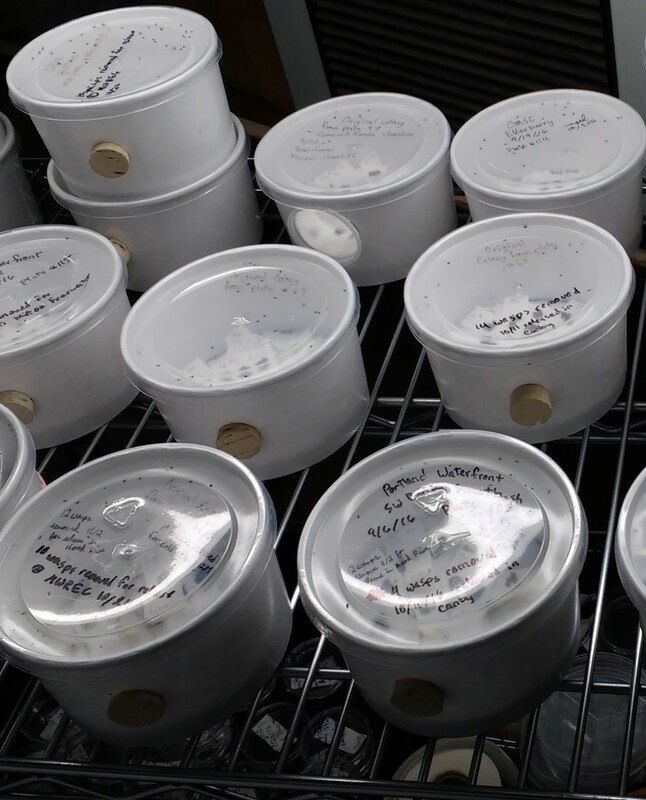 You are strongly encouraged to take photos of the egg mass and upload to the reporting page. If you have questions about the submission process, contact David Lowenstein, the BMSB project leader in Oregon. OSU guide to detecting samurai wasp is live! 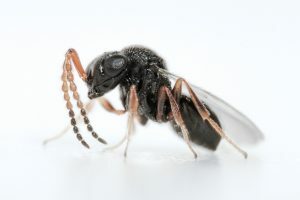 Samurai wasp was found in Portland, OR in 2016 and in Beaverton, OR and Salem, OR in 2017. Where will it be found this year? 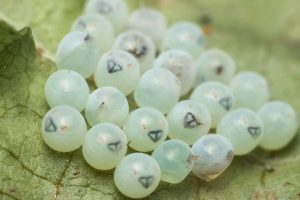 How to report a possibly parasitized BMSB egg mass? Step 1) Confirm the egg mass was laid by Brown Marmorated Stink Bug. Eggs are light green. 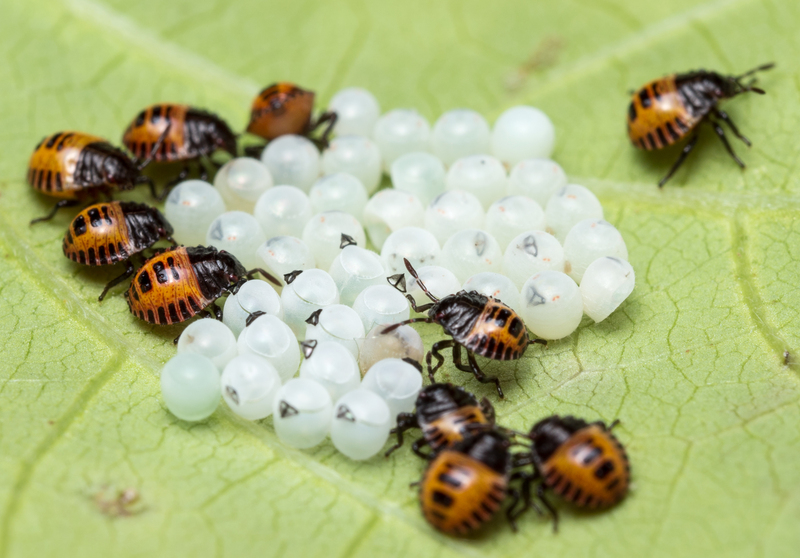 Several other stink bug species lay eggs that can be mistaken for BMSB. For comparisons, take a look at the Oregon Department of Agriculture stink bug identification guide. 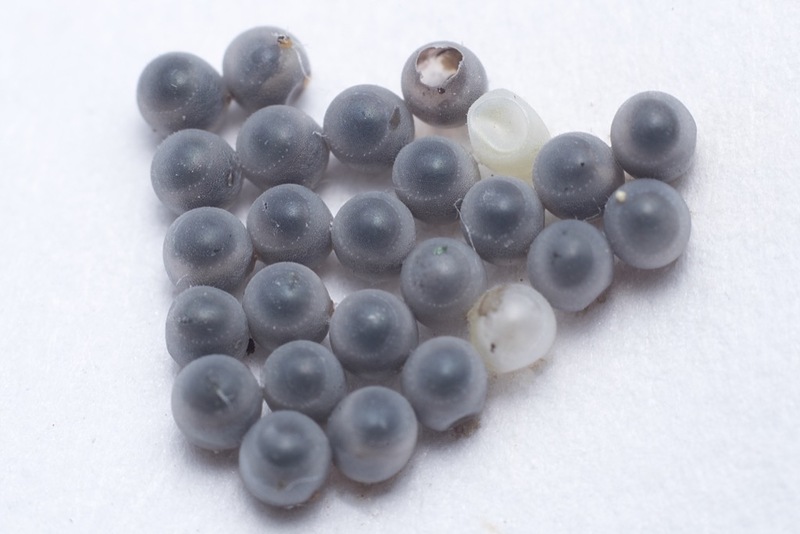 If the egg mass appears dark black, it might already be parasitized (Collect the darkened egg mass and proceed to step 3). Step 2) Has the egg mass already hatched? Yes. You might need a magnifying glass to determine egg characteristics. Collect the egg mass. 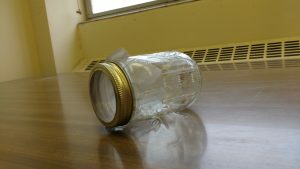 Place in a sealed container at room temperature in direct or indirect sunlight. 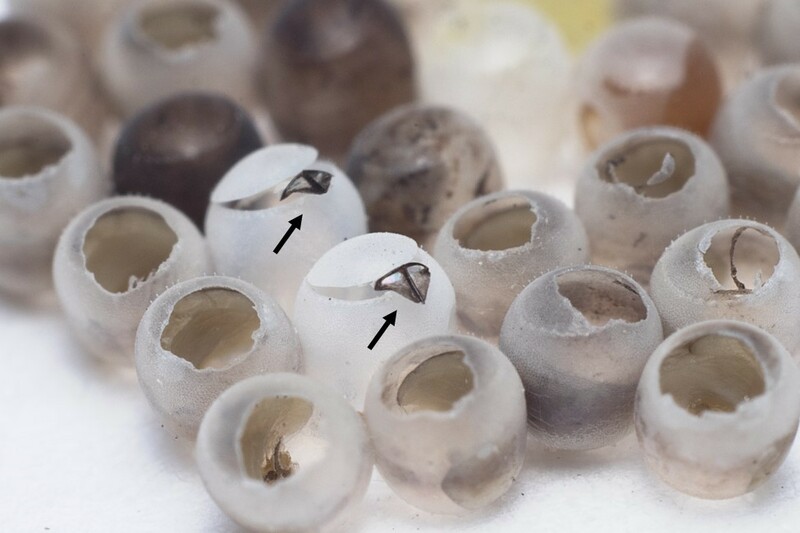 If you are unable to collect the egg mass, check its development every 2-4 days. 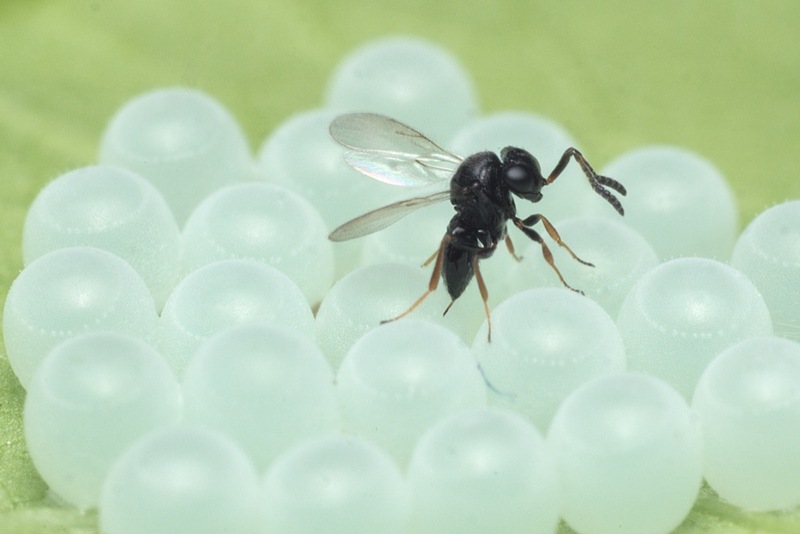 If you see a small (~1-2 mm) wasp walking on the eggs, under Life stage observed click “Wasp walking on eggs.” If possible, we would appreciate a photograph of wasps walking on the eggs. If the wasp flies away as you approach, it will likely return to guard its developing offspring. Check the eggs’ development every other day for the next 1-3 weeks. Step 3) After collecting the eggs, is there a change in appearance? The eggs are now dark black. 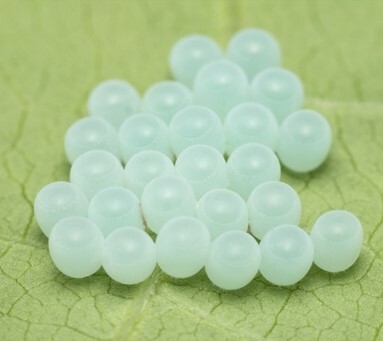 The eggs were likely parasitized by the samurai wasp or another parasitoid. Continue to wait for signs of emerging wasps. Wasps will emerge from darkened eggs in 1-3 weeks. If you see this life stage, feel free to email to the BMSB team. With permission, we might be interested to look for additional samurai wasps in the area where you found the eggs. Keep eggs in sealed container and proceed to step 4. The eggs are still green but now have small black triangles or little orange insects. The eggs were not parasitized. First instar BMSB will soon emerge. Use the BMSB reporting form. Step 4) Wasps have emerged from the egg mass. Congratulations, your patience has paid off, and you’ve found beneficial parasitoid wasps in your area! Please upload a photo of the wasps on the form and leave a note in the comments section describing how many weeks it took for the wasps to emerge from the eggs. The samurai wasp does not sting humans, is smaller than 1/10 inch, and dark black. What should I do with the wasps? Release the wasps outside so they can complete their development inside other BMSB eggs. 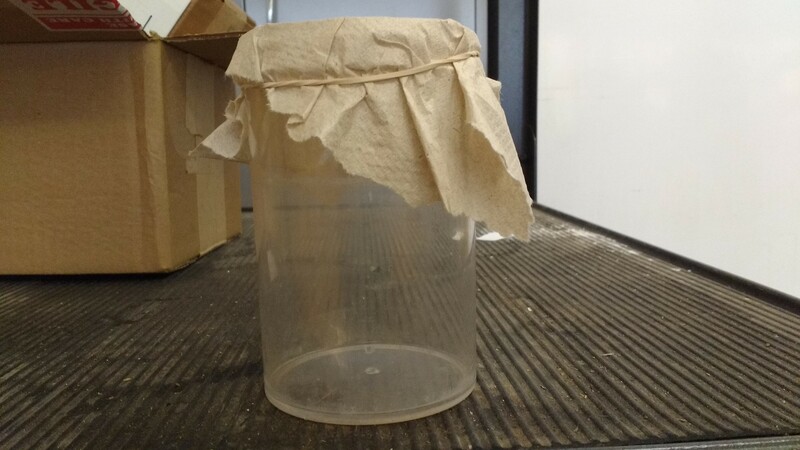 If possible, save at least 1 wasp and email us (david.lowenstein@oregonstate.edu) so a member of the BMSB team can collect the wasp and verify it is samurai wasp. 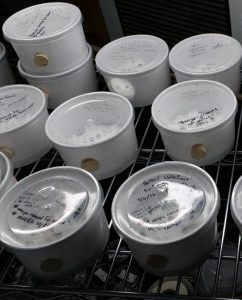 Scale of parasitoids: The wasps are the small black dots inside rearing containers.